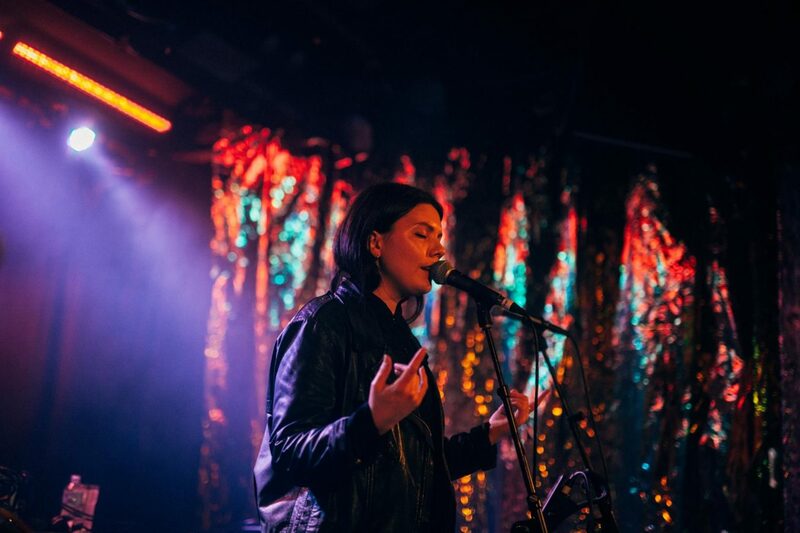 MusicNSW and FBi Radio bring you a massive showcase of Women in Electronic Music on Saturday 17 June at Oxford Art Factory as part of Vivid Sydney 2017. 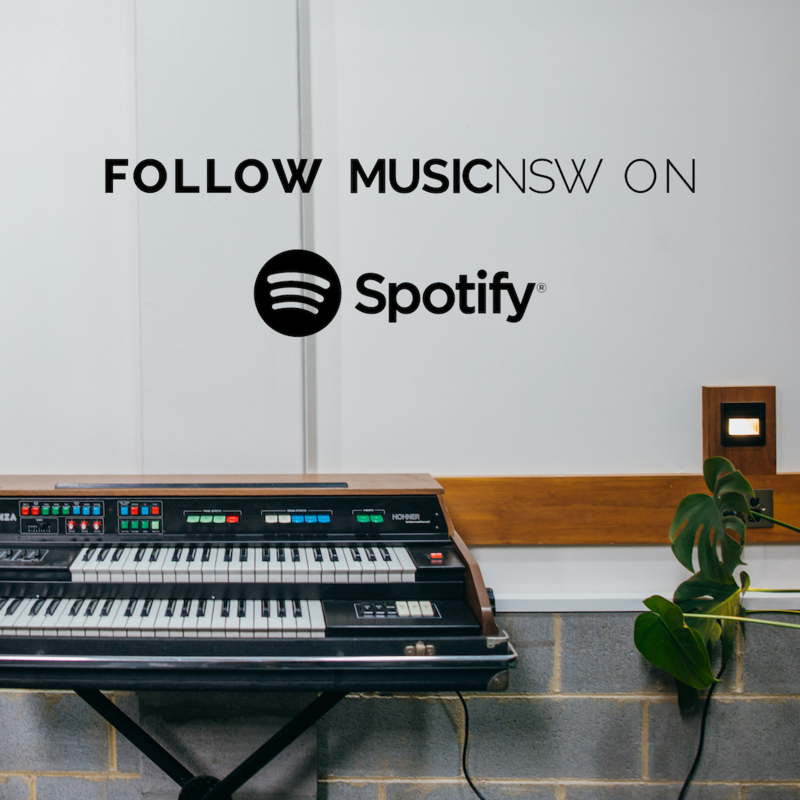 Party late into the night with pioneering producers, beat-makers and DJs from Sydney and beyond, hosted by Sydney’s one and only FlexMami. 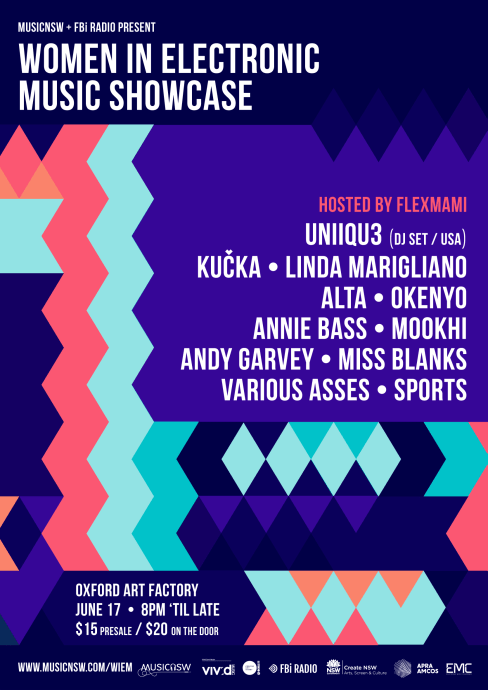 Featuring UNIIQU3 (USA), Ku?ka, Linda Marigliano, ALTA, OKENYO, Annie Bass, Mookhi, Andy Garvey, Miss Blanks, Various Asses and SPORTS!